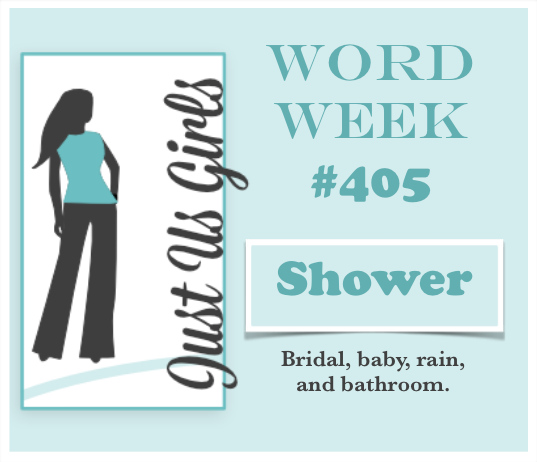 Hello Friends, It’s Word week at Just Us Girls and the word is Shower. As you can tell from the card above, I went with Baby Shower. I actually made 4 of these cards, two girls and two boys. They are fast and fun to do. The DP is from Stampin Up and I have been using it so sparingly, as I love it so much and it’s no longer available. The boat and sentiment are from Verve! The circle dies are either Nestabilities or SU. Categories: Cards | Tags: Baby Shower, Card making, Cards, rubber stamps, stamping, Stamping Up, Verve Stamps | Permalink. I love this bright shower card. Very different and so stunning. Specially the whale in the paper. That is a wonderful baby card you have made. I love the theme. What an adorable little card. I love the colors here, and the nautical theme. It just makes me smile, I can see why you had fun making them. Great use of those patterned papers, my dear! What a beautiful shower card – I don’t blame you for using that paper sparingly – it’s awesome! Your design is so gorgeous! 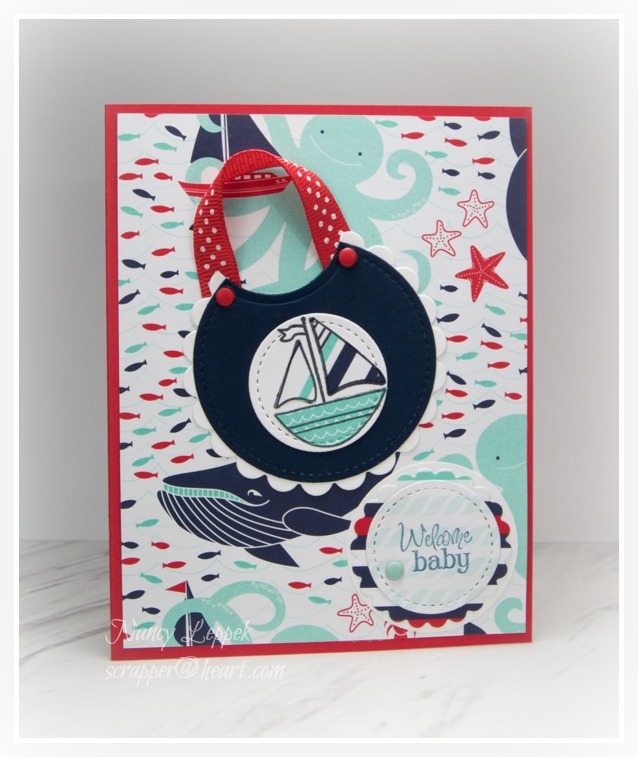 Such a cute baby card – love those colors together! What an amazingly creative card Nancy. It’s ‘Awesome’. It took me a minutes to see the bib, Nancy, but when I did I was even more thrilled with the design of your card. It’s so cute with it’s nautical theme and bright colors. Really cute card and I love the color combo! This is such a fantastic and creative design for a baby! I love the bib with the sailboat on it and that dp is very cool! This is so cute! I can see why you are using that dp sparingly! Love your card!